You’re welcome. It’s an early Greek word for the domestic cat. I think “Pseud-” was added in 1850 by Paul Gervais to distinguish Miocene fossil cats from their modern relatives. Waggy Tail, it turns out, had an extra premolar in its lower jaw. Taxonomists now use a variety of anatomic details to describe these fossil cats. But such things don’t tell us laypeople what we really want to know. Was Pseudaelurus the cat family’s ancestor? Short answer: Probably, but clear connections haven’t been established yet between Miocene pseudaelurines and both modern cats and the sabertooths (we have to include those extinct members of the cat family, too). Details: Sooner or later, when you look into any science topic, someone starts throwing numbers at you. No need to duck–it’s just going to be a few dates, and you can ignore those if you want. They come from highly-cited papers that made sense to this layperson, but there can be no guarantee, short of time travel, that they’re absolutely correct. The thing to aim for is a glimpse of the overall Picture as it relates to cats. Dates help out with this, because we all use calendars. But first, what’s the Picture? Geologists mention at times something they call the Picture. Multidimensional, worldwide in scope and in motion through time, it is sometimes called the Big Picture. The Megapicture. You are cautioned not to worry if at first you do not wholly see it. Geologists don’t see it, either. Not all of it. The modest ones will sometimes scuff a boot and describe themselves and their colleagues as scientific versions of the characters in John Godfrey Saxe’s version of the Hindu fable of the blind man and the elephant . . .
Here’s a 21st century version of the fable. And science really is a lot like that. Why bother about the Picture? Well, we can know individuals–Leo, Tigger, and Fluffy, for instance–but we can never really see their species. A species is too large to view in toto (except, perhaps, in those sad cases when it’s almost extinct, like the Iberian lynx). Lions, tigers, and the domestic cat lineage all go back millions of years. H. sapiens has only been around a few hundred thousand years. For most of us, this is not a problem. The data gap, however, does hinder paleontologists, conservationists, and other scientists who need to know the details of how cats evolved. 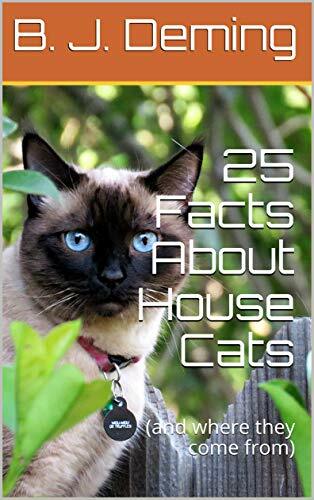 Anyway, no one can ever grasp the full history of our feline friends and acquaintances. But to understand them a little better, we laypeople can look at the Picture. Just imagine a calendar in 3D, sort of like the Grand Canyon. Now let’s put some dates on that calendar. The dates are marked off in Ma (million years ago, or mega-annum). Numbers are per Gradstein et al. It’s not complicated. The nonavian dinosaurs went away at 66 Ma, for example: the end of the Cretaceous period. We all know that. That infamous mass extinction would be the starting date on our calendar, if we were talking about the whole “Age of Mammals” (technically, the Cenozoic, which will only matter later in the series, when we look at sabertooths of various kinds–cats weren’t the only ones–and eventually at how carnivores evolved). A much more recent date is 2.59 Ma, when the first of dozens of Cenozoic ice ages began (along with the Pleistocene epoch). But modern cats and sabercats were already in full swing in the Pleistocene. Feel free to use different colors on your mental calendar for the Pleistocene and the Pliocene epochs–geologists do that on their printed time scales, too. But keep two additional colors handy. The oldest cat fossils come from the Miocene, all the way back to where Proailurus sits on the border, at 23 Ma, with an even earlier epoch called the Oligocene. Some experts go back even farther, to 28.5 Ma. (Eizirik et al.) Presumably they mean Stenogale (see last week’s post), though it’s not named and this critter hasn’t been officially recognized as a cat yet, as far as I know. This far back in time, we’re at the point where blind persons are still exploring an elephant. On our calendar, Waggy Tail With The Extra Tooth comes in at around 20-18 Ma in Europe and a little later, somewhere around 18.5 to 17.5 Ma, in North America. (Rothwell; Werdelin et al.). Pseudaelurus was also present in Asia and the Middle East/northern Africa during the Miocene, but little is yet known about its history in these regions. Proailurus and the pseudaelurine cats don’t overlap in the geologic record, but evidence hasn’t been found yet to show beyond any doubt either that the Dawn Cat gave rise to Pseudaelurus or that the two were more distantly related. The same uncertainty exists for Pseudaelurus and its possible descendants. There just aren’t enough fossils available in good enough condition, and DNA from that long ago has not survived. Complicating everything is that all pseudaelurines were built much the same, apart from size. This is true of today’s cat family, too (Werdelin et al. ), but we can’t see pseudaelurines in the flesh to pick up differences in non-skeletal details like coat patterns, habitat preferences, and behavior. And the present “filing system” (i.e., taxonomy) is confusing, too. For a long time, researchers simply called every primitive Miocene cat fossil “Pseudaelurus” and left it at that. Now taxonomists must sort through the “wastebasket” and work out true species, their interrelationships, and where these ancient animals belong in the cat family tree. Paleontologists do know that there was some overlap between a few species of Pseudaelurus in Europe and the sabercats. Werdelin et al. suggest as a candidate for Oldest Sabercat Miomachairodus pseudailuroides in what’s now Turkey at around 12.5 Ma. In North America, they say, it could have been Nimravides, at roughly the same time (12 Ma). And the last Pseudaelurus fossil date they mention is around 8 Ma in Europe. But this is where the Picture gets very murky, as you might suspect from that pseudailuroides moniker. The blind men (and women) are still studying the “elephant” here and arguing what they’ve found. To make a long story short, a number of paleontologists suspect that Pseudaelurus quadridentatus may have been the ancestor of Machairodontinae–the sabertoothed cats. Another pseudaelurine species, Styriofelis lorteti, might have founded Felinae, the modern cat family. But the debate continues on. What did Pseudaelurus look like? Short answer: A lot like modern cats, aside from a few primitive features like that extra tooth. Details: Satellites, radio collars, and tours aside, can you imagine the difficulties of finding a lion on the Serengeti? It isn’t a case of leaving out a steak and staying still in your camera blind down by the waterhole. There just aren’t that many lions on the vast plain. Ecological rules on supply and demand limit the numbers of any carnivore that a food web can support. 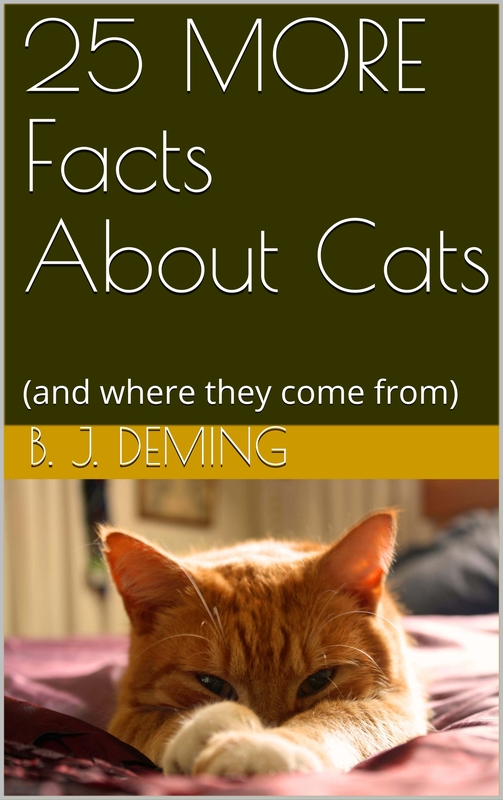 Too, most cats also die in humid places that don’t preserve fossils very well. A few bony fragments and teeth are usually all that come down to us. Which is why the discovery of an almost complete pseudaelurine cat skeleton in Spain, towards the end of the 20th century, was such a big deal. It was found here: Cerro de los Battallones, south of Madrid. Back in the day, this part of Europe, now rather dry, had a karst landscape, where fossils accumulated. Around 14 Ma, the hapless cat–Styriofelis lorteti–fell or jumped after prey into a shallow opening in the ground. The hole’s sides proved too slippery to climb, and it died down there. The amazing part is that the animal’s whole body was preserved soon after death, perhaps by a sudden flood or a cave-in, before breaking up. S. lorteti was about the size of a lynx and it was built pretty much like any modern cat. The bones in its paws weren’t quite as long as those cats have today (and of course it also had that extra tooth in its jaw). This skeleton and assorted bony fragments and teeth aren’t all that the pseudaelurines have left us. A small group of Miocene cats, probably S. lorteti again, along with other animals, left tracks along the shoreline of a long vanished lake in what is now Salinas de Añana, in the Basque Country. Also, they were a little bigger than this wildcat, a little more powerfully built, but not quite as big as a lynx. Check out paleoartist Mauricio Antón’s blog to learn more about fossil cat tracks and to see his reconstruction of the animal that made those at Salinas de Añana. Featured image: Jim Linwood, CC BY 2.0. Antón, M. 2013. Sabertooth. Bloomington: Indiana University Press. Antón, M.; López, G.; and Santamaría, R. 2004. Carnivore trackways from the Miocene site of Salinas de Añana (Álava, Spain). Ichnos, 11: 371-384.
de Queiroz, K. 2007. Species concepts and species delimitation. Systematic Biology, 56(6): 879-886. Eizirik, E.; Murphy, W. J.; Koepfli, K-P.; Johnson, W. E.; and others. 2010. Pattern and timing of diversification of the mammalian order Carnivora inferred from multiple nuclear gene sequences. Molecular Phylogenetics and Evolution, 56(2010): 49-63. Gradstein, F. M.; Ogg, J. G.; and Hilgen, F. G. 2012. On the geologic time scale. Newsletters on Stratigraphy, 45(2): 171-188. Hennig, W. 1966. Phylogenetic Systematics. Urbana: University of Illinois Press. Hunt, Jr., R. M. 1998. Evolution of the aeluroid Carnivora: Diversity of the earliest aeluroids from Eurasia (Quercy, Hsanda-Gol) and the origin of felids. American Museum Novitates, Number 3252. New York: American Museum of Natural History. Karlstrom, K. E.; Lee, J. P.; Kelley, S. A.; Crow, R. S.; and others. 2014. Formation of the Grand Canyon 5 to 6 million years ago through integration of older palaeocanyons. Nature Geoscience, 7(3): 239. Rothwell, T. 2003. Phylogenetic systematics of North American Pseudaelurus (Carnivora: Felidae). American Museum Novitates, Number 3403. New York: American Museum of Natural History. Salesa, M. J., Antón, M., Morales, J., and Peigné, S. 2011. Functional anatomy of the postcranial skeleton of Styriofelis lorteti (Carnivora, Felidae, Felinae) from the Middle Miocene (MN 6) locality of Sansan (Gers, France). Estudios Geológicos, 67(2): 223-243.